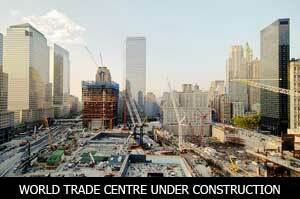 The race to build the world’s grandest tower has begun as New York-based One World Trade Centre continues its construction and beat the deadline by 2014 if not mid-2013. 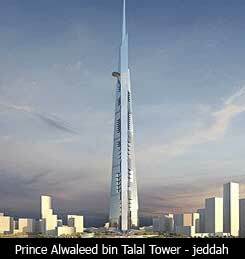 While Saudi Arabia’s Prince Alwaleed bin Talal jumps in to start his own tower in Jeddah measuring 3,281 feet tall. The One World Trade Centre wants to regain back the glory of the fallen World Trade Centre and will actually house the 9/11 Memorial. It has surpassed the Empire State Building as New York City’s tallest with its new steel columns put in place on Monday that will complete its form at 1,776 feet. However, Prince Alwaleed said in a press conference that the construction of his tower in Jeddah will also surmise the political scales that the Saudis could invest within their own country at no matter the cost. Initial estimates of the building project had been pegged at close to $2 billion. What differentiates the Saudi Tower, Prince Alwaleed justifies is that there will be three buildings instead of just one. Prince Alwaleed has signed a contract with Chicago-based Adrian Smith + Gordon Gill Architecture for the initial project design. Currently, Dubai’s Burj Khalifa holds the crown of the world’s tallest at 2,717 feet, followed by U.S. Willis Tower, formerly the Sears Tower in Chicago.